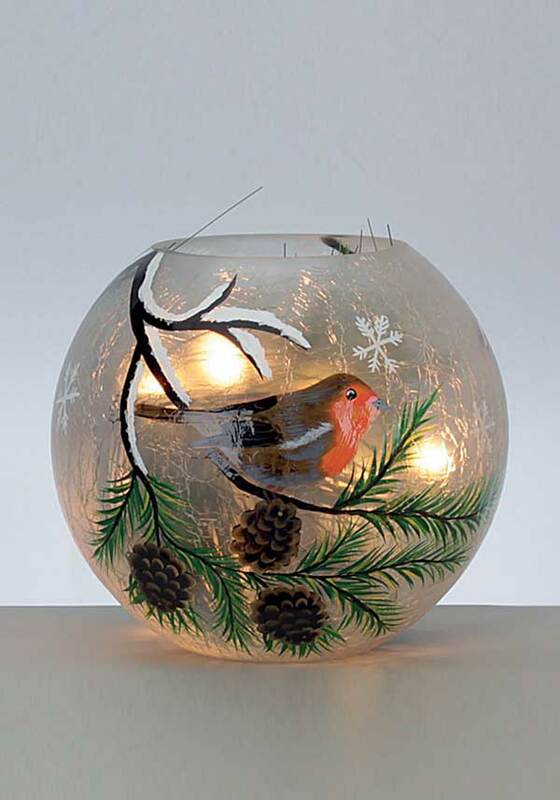 With a sprig of artificial festive pine peeks out over the edge, soft, white LED lights make this wintery robin scene come alive from the inside. 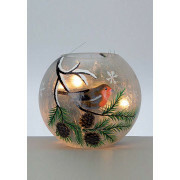 Enclosed in a clear glass bowl. Suitable for indoor use only. Requires 3 x AAA batteries (not included).